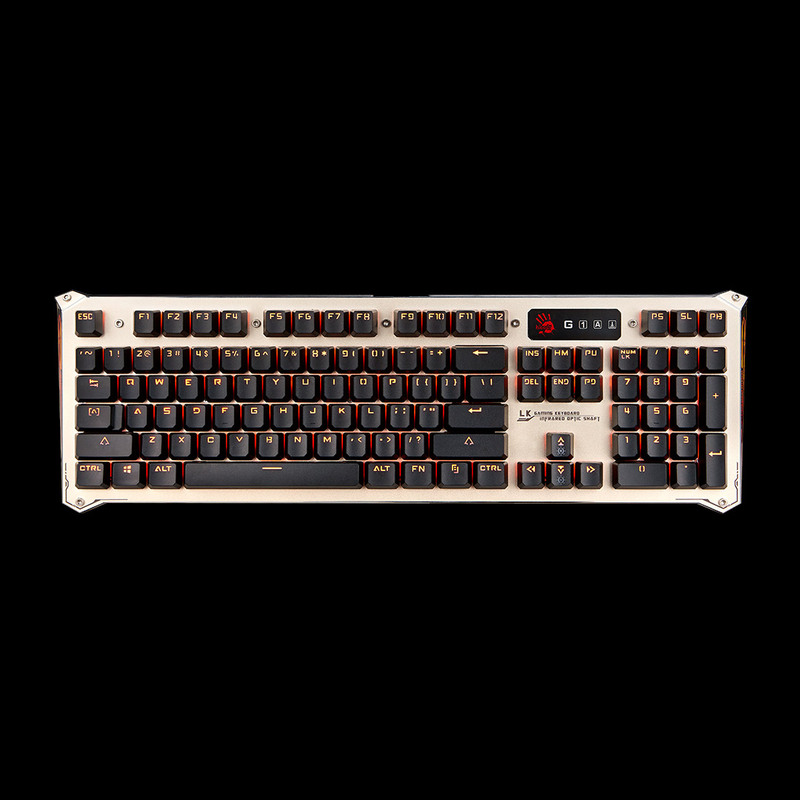 Innovative LK optical switch technology uses optical detection that removes all input lag which is able to obtain zero digital latency reacting with a speed of 0.2ms key response. 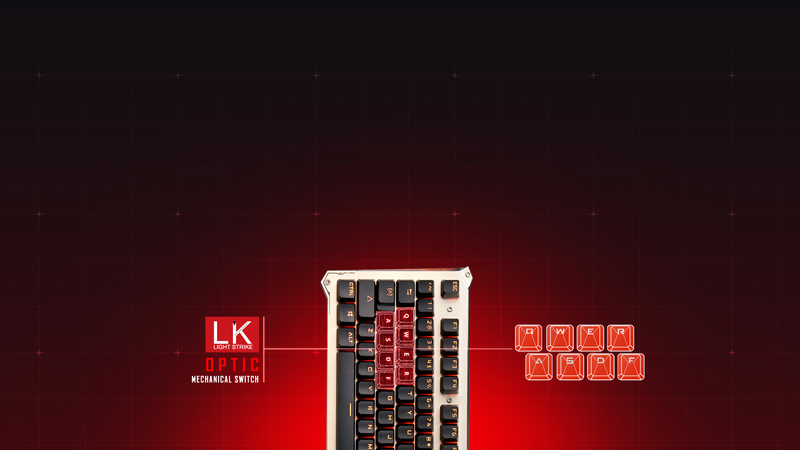 Innovative LK Optic Switch technology uses optic switch to react at lightning speed with extreme 0.2ms key response, exclusive "long-lasting" typing sound and tactile feedback, creates more passionate for gamers. The LK Optic Switch is surrounded by a 6mm barrier to prevent water damage from spill. Top panel made of aluminum alloy for a cutting-edge tech finish and provides stronger and more resistant to corrosion than common panel. Dazzling backlit makes you stand out in the dark. Full NKRO ensures each keypress can simultaneously register regardless of how many keys are being pressed or held down at a time including modifier keys (Shift, Control and ALT). Engineering for human ergonomics, ensures maximum comfort. 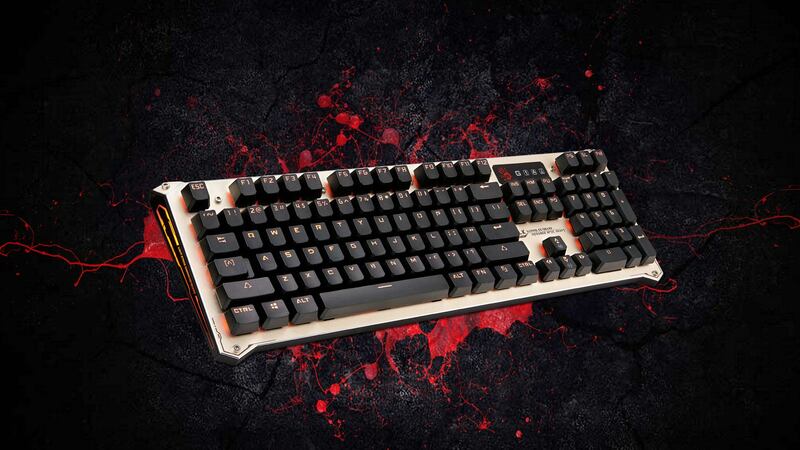 The 8 gaming non-slip silicon keycaps are designed for a longer comfort usage. 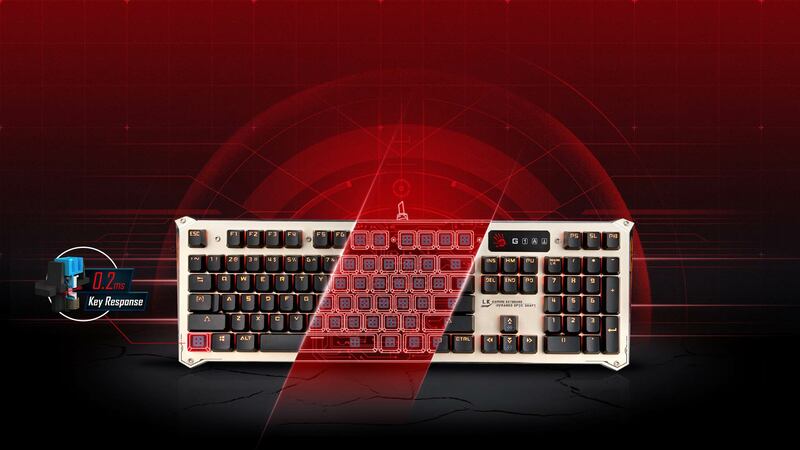 Space-Bar is made of dual screws + dual springs + balancing bar for best durability.